384: What's a Growth Mindset? Language is an important factor in how we integrate ourselves with the world around us. It determines our worldview and can go a long way toward determining how well we succeed in what we’re trying to accomplish toward our goals but simply giving us the intrinsic motivation to keep moving forward. To set yourself up for success, you might want to explore whether you’ve adopted a growth mindset, or if you’ve adopted the inner language of fixed resistance. Sponsor: Our research for today’s show is anchored in the work of Dr. Carol Dweck and her book Mindset: The New Psychology of Success. If you’re interested in the book, you can get it today for free by visiting audibletrial.com/theadhdpodcast and signing up for a new account. 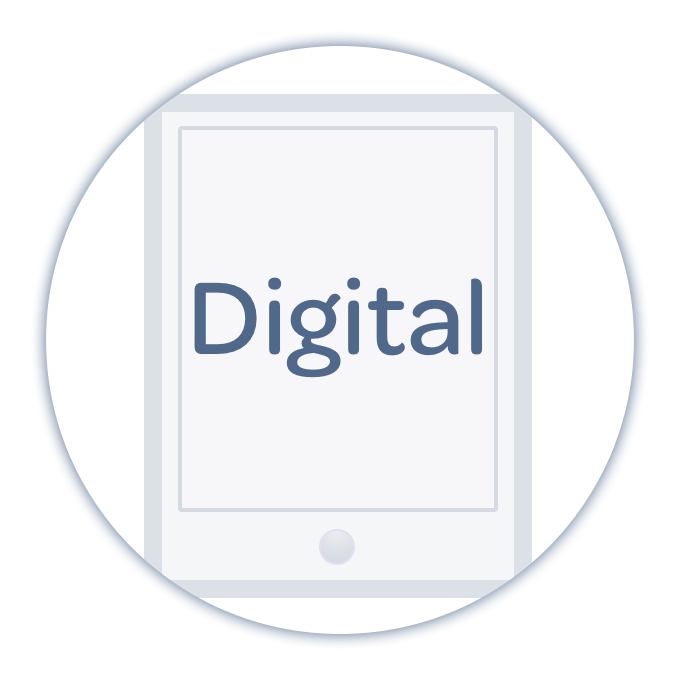 Browse the catalog, search for Mindset, and download it today. If you love it, keep the account and get new audiobooks every single month! If you don’t, no problem… cancel your account but the book is yours for keeps! Pete: Hello everybody, and welcome to "Taking Control: The ADHD Podcast" on rashpixel.fm. I'm Pete Wright and I'm here with Nikki Kinzer. Nikki: Well, hello everyone. Hello Pete Wright. Pete: It's a fantastic day. It's a good solid Monday. The rains have come and they're washing the debris from the streets. Things are smelling better and growing. The foliage is ripening. The colors are going to be rich. Nikki: April showers means May flowers. It's coming. Spring is coming. Pete: I know, and it's gloomy. It is definitely gloomy. But I'm looking to change that mindset and that's what we're talking about. I'm very excited about it. Before we do that, head over to takecontroladhd.com, you can get to know us a little bit better. You can listen to the show right there on the website or subscribe to the mailing list and we'll send you an email each time a new episode is released. 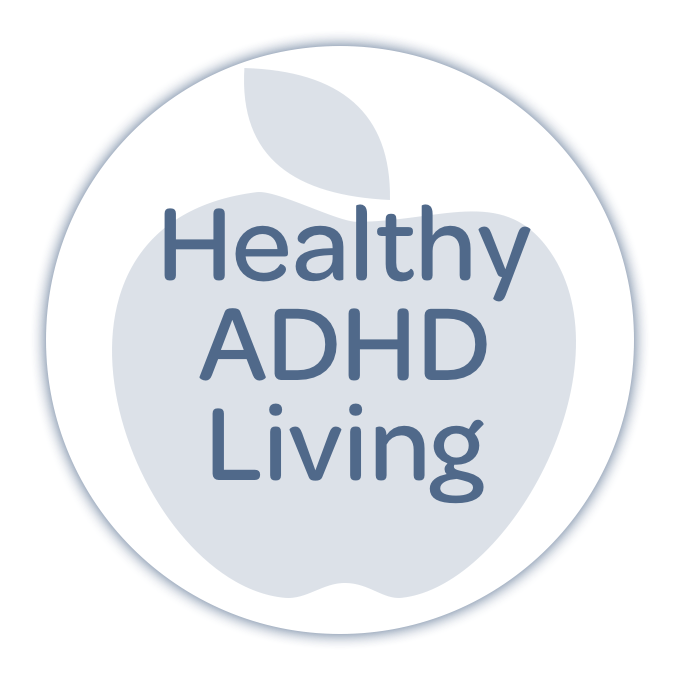 Connect with us on Twitter or Facebook at Take Control ADHD. Now we don't have an opening question this week. Nikki: No, we do not. But we certainly want them. So if somebody has a question that they're interested in hearing our opinions and thoughts on, please send them to us because we'll include it into the show. Pete: That's right. It would go right here. Nikki: It would go right here, as we're pointing. Pete: It's like a Mad Lib. It's a podcast Mad Lib. You submit the segment. Pete: We'll talk about it. Nikki: And we'll talk about it. Pete: How should they submit those things to us? Nikki: Oh, they can send it to info@takecontrol.adhd.com. Nikki: ...that would be fantastic. You know what, scratch the info and just do questions. Pete: Don't do that. That's nothing. Yes. Questions@, that's where you should send it. Nikki: And we'll put that in the show notes, make it really easy. Pete: Oh yeah. Okay. We're gonna talk about a growth mind set today. This has been on the calendar for a little bit. It's been jockeyed around. We've moved some things around based on what some other people have been submitting and questions and things that have inspired you. But it landed today and I would like to know where this came from for you. Why the growth mindset conversation? Nikki: Well, it first came from my daughter, is the really, the first time I ever paid attention to what a growth mindset was because I probably have heard it in passing, but I never really studied it or researched it. But yes, one day she comes home, she's in the third grade and she shouts to me in the hallway, "I can do hard things." And she's, like, so proud of herself and I'm thinking, that's fantastic, right? The enthusiasm was fantastic. I'm like, "That's great that you can do hard things." And then she went on to kind of talk about how her teacher was explaining what a growth mindset was and she explained it to me and I thought it was great. And then every once in awhile she would catch me because she'd be like, ''Mom, that is not a growth mindset. You can do this.'' Right. She would actually start catching me limiting my beliefs. Nikki: Yes. Yes, I definitely did. And then this last November, I went to a chat conference as we've talked about, and there was a keynote speaker who spoke around what a growth mindset was verse a fixed mindset. So it was one of the key notes. And it was so interesting to me how it really related to limiting beliefs in ADHD and how we could take this and roll with it. I don't know what else to say, but you know, just to kind of, this is information that we need to learn about and know about. And so much of the work and the research that I did for this show and what I've been learning is from Dr. Carol Dweck and she is a researcher at Stanford University and she has dedicated her career for over 30 years on student attitudes about failure. And what she found is that some students rebounded very quickly and they were fine, you know. Okay. They didn't do well on a test, but they were able to make up for it or do better. But then there were some students who were just devastated by even the smallest setbacks. And so she wanted to kind of see what the differences were between the two students or the two types of students. And eventually, she coined this term, growth verse fixed mindset. And if you believe that your mind can grow and you can learn, then you behave differently. Pete: She talks about it in her book, ''Mindset: The New Psychology of Success.'' And you know, we don't talk about this part all that often, but we do have Audible as a sponsor of this very show. And if you were to visit, I'm just saying audibletrial.com/theadhdpodcast, audibletrial.com/theadhdpodcast and you set up a new account there, then that you can download this book for free, the audio book version of this book and you can cancel your account if you don't like Audible after that and you can cancel it and keep the book forever and ever. All you have to do is again, audibletrial.com/theadhdpodcast and search for ''Mindset: The New Psychology of Success." And you'll be able to start your trial and get the book for free. It's, like, 10 hours I think, 10 hours and yeah, it's nice and beefy. Ten hours and 23 minutes, that audio book narrated by Bernadette Dunn. So if you are a follower of narrators as I am, Scott Brick is the best, then you will love Audible. I absolutely love it. We'll also put the link to the Kindle version of the book if you are so interested as well. So there you go, audibletrial.com/theadhdpodcast. Pete: Okay. Let us continue. Pete: This one really hit me, especially in the context of what you just said, right? The thing that you start with is the thing that you live with because it's very rare that you hear a diagnosis that says you have ADHD and you can do hard things. Those two things don't go together often. It's like you have ADHD, now what are we gonna do to accommodate you to help make the world a little bit easier for you to adapt to? It is not about you facing the hardest things in life. Nikki: No. So wouldn't it be great though if that changed? Nikki: Right, you've got that diagnosis and it's like, yeah, you have ADHD but you can do hard things. I love that. Nikki: And you're gonna be just fine. Pete: ...live with it and it's gonna do some great things for you. It'll also pose challenges that you'll face and get over. You'll get through it. Every day will be another chance for you to do hard things. Opportunity. Pete: You don't wanna have your intelligence challenged in any sort of public forum. Nikki: Exactly. So you're gonna avoid the challenge altogether if you can. When obstacles strike, they're gonna give up easily because again, they don't necessarily want to look like they don't know or they're struggling. I mean, they're struggling and they don't know what to do with it. And so they give up. They don't see how your effort can affect your results. You know, they don't necessarily see the connection of, "Oh, well, if I study and learn more, that's gonna affect my results if I work hard." But for them, they don't see how the connection of effort has to do with their results. Pete: Oh, that's a really good point. And I think it's one of the things we're trying to, at least, I'm trying to adjust the way I talk about, you know, smart and use the word smart because it's often...smart is completely disconnected from accomplishment and achievement. Achievement implies you work hard and you did something that's going to change something for you, right? You're adding new neurons. You're accomplishing a goal that you set for yourself. I'm really connecting with this intelligence being static thing. Like I think that's another thing that we're getting over, if we try to replace smart with another word that's you, you know, you're accomplished, you did something great, it implies action. And I'm really connected with that. Nikki: Yeah. Well, and what happens, okay...just a couple more key note or key points about this is when they do do something, they ignore the negative feedback because they're not looking at it as a learning opportunity. They're maybe getting defensive or they want to prove their point more or whatever. So they're ignoring the negative feedback and they often feel threatened by the success of others because what did I do wrong? Why are they doing better than me? You know, there's a lot of questions that go around that. So as a result, they plateau early. A fixed mindset is gonna plateau early and they're gonna achieve less than their full potential. And you can have different areas in your life where you have a fixed mindset. So it's not like you're a fixed mindset on everything. It's just that you could have certain areas where you just really don't believe that you can learn something. So it's not all or nothing. Nikki: Right. And one of the things that the keynote speaker did is he asked us, "Okay, pair up with whoever's next to you and talk about a specific situation where you have a fixed mindset." And so it was really interesting to hear, and people would kind of share their results, but it was really interesting to hear what people talked about, like this, you know, I have this fixed belief about this or that or whatever. And so the more that I started learning about this, I really did see a very clear connection between limiting beliefs and fixed mindsets, right? There's a lot of common language that we're using here. So if you don't believe you can learn something, you're probably right, you're not gonna learn it. What you believe and how you talk about yourself or to yourself really matters. It really does make a difference. If you don't believe it, then you're going to avoid the challenge of learning something new. And then there's that incredible fear that you may fail, right? And then it may be too hard and you won't be good at it anyway. So here's that limiting belief that, well, "I've tried this a million times, I can't change. It's never gonna be any different." So these thoughts and these fixed mindsets keep us stuck. They keep us stuck from going forward or making any kind of progress in our lives. That's all the negative stuff. Pete: That's the negative stuff. So now we have to figure out how to make the turn, the turn from fixed to growth. Plant a seed, watch it flourish. Nikki: Yes. Plant a seed. So growth mindset, what does this mean? It's basically the opposite of everything I just said. Intelligence can be developed, so you can learn things, you can, you know, you can consume information and become an expert on that by learning it, which leads people to want to learn because they understand that they can, they have the capacity in their brain to keep learning new things. Pete: And they're naturally creating milestones upon which they can slingshot to new plateaus. Nikki: Absolutely. Which leads them to embrace challenges. 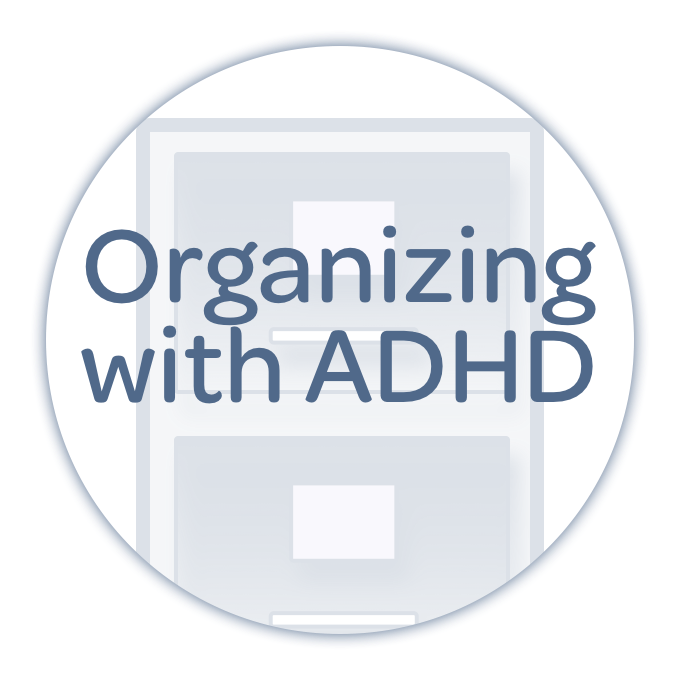 So if you're working on something with your ADHD and you really want to see some changes and some differences, you're going to embrace the challenge of doing something different than what you've been doing. You're gonna be open to hearing a new strategy and being able to practice it and learn from it. You're gonna persist in face of setbacks. So say that it didn't go exactly as planned, but that's not gonna get you down. You're going to keep persisting and working on it. And a growth mindset definitely sees the connection between effort and the path to mastery. So they know, "If I work at this, if I learn, if I do my best, then I can become really good at this. I can do something with this." Pete: There's a connection to that, I wonder if you pulled out of the reading, because I have yet to read the book. But the question I have is how do you fix that first experience? Because it sounds to me like all of these things, intelligence can be developed, which leads to wanna learn, which leads to embrace challenges, all of those things require some sort of experience that you are acknowledging was a success in those areas. And I think a lot of people, especially with ADHD, have trouble seeing those little successes. You know what I mean? Like in order to create a model of success that you can work towards so that when you hit setbacks, you don't say, "Well, I'm never gonna be able to do that again." Instead you say, "You know what..."
Nikki: "I can do hard things." Pete: "I can do hard things. I have taken this and turned it around in the past, therefore I'll be able to take it and turn it around now. Even though I have not done it successfully this time, next time it might be different." Right? You sort of have to create a catalog of successes first. Nikki: Well, you can. I mean, we've talked about this before. Having a success journal is probably one of the best things you can do to catalog those successes, right? Because you wanna be able to remember them because you're not going to remember them, but it's also gonna be really hard for somebody who is just by themselves, you know, listening to our podcast, how am I going to catalog that? Like maybe they don't necessarily have anybody pointing them, pointing out the successes, right, because they don't see them themselves. And so it's difficult. I think it's important...again, you know, we've talked about this too. Every step is important no matter how small it seems. So if you're listening to us and just having the awareness of, I see that this area is fixed in my life and I really do want to move it to a growth mindset, I don't know if you necessarily have to have a list of successes to do that already, but I do think you need to be aware that that's where you wanna go instead, that you're not okay with just settling on the fixed mindset, that you really do want it to be different. Pete: You know, I guess I only think, I would add to that is you have to be open to signals in the world around you, right? I mean, if you're hearing this message and it's hitting you sideways at all, maybe that's a reason you should look more clearly at it and more soberly at it. That this is a thing in my life that I probably need to, I need to assess, I need be open. Nikki: And maybe you didn't even know that this was happening until now it's being explained, right? And I think that was, you know, just a couple of things with the growth mindset that is still, again, opposite of what the fixed mindset is that we learn from criticism and we find lessons and inspiration in the success of others. And I think that's really important. So yes, they go to higher levels of achievement and this, I think really resonated with me. It gives them a sense of free will. So what does that mean to you when you hear it gives them a sense of free will? Pete: Well, it means to me that I've accomplished things in the past and that I can use those experiences to take any path in front of me now. I have the tools and the experience to know that I can learn new tools that will allow me to achieve anything I wanna do, moving in any direction that I want to go. Nikki: For me, I would describe it as I have a choice. I have the freedom to choose. I don't have to stay in a fixed mindset if I don't want to. I can change that. If there's something that I'm working towards and I want to keep working on that and I know that it's, you know, it's the journey to get there, it's not just the outcome, then it...but it's my choice. And I think that as soon as we give our choices away and we feel like we can't do something, then we really lose our power. And so that's why that really resonated with me because I want people to feel empowered. I want them to feel like they have a say in their life. They control, you know, not their destiny, I don't wanna necessarily say that, but you know what I mean? That you know, that it's not out of your control. Pete: Yeah, and they're not giving into the resistance, you know, what we talked about two weeks ago. And that's the fixed mindset, right? That's very much the resistance. Nikki: So kind of taking this to the next step is how do we learn to shift to that more growth mindset, right? I mean especially in navigating ADHD. And one of the most important messages that I received at the CHADD conference, and again, I never thought of it this way, is that people spend too much time on the performance, on how they're going to perform and so much on the outcome, but they're not spending enough time in the learning zone. Pete: Talk more about that. What does that mean? Nikki: Well, I'm gonna give you an example, and he used athletes as an example and I think it's a good example. Their game is the performance, right? Like their game is them performing. So if it's a basketball game, football game, tennis match, whatever, their performance is the game, but where do they spend all of their time learning and practicing every day for hours? And even the best athletes have coaches and they're still practicing their game every single day. So Stephen or Stephan Curry, what's his name? Pete: Do you know who you should be asking? Not this guy. Pete: Yeah. You should be asking LeBron James. Nikki: I know that name. LeBron James. To be argued, one of the best basketball players in the world. Nikki: He's still practicing. He still has a coach that tells him what to do. Not that, but you know what I mean. But that's the point is that these athletes, these performers, like, and he also used another example of, like, a ballet dancer or somebody that's on Broadway. It's like they're, you know, they do their performance, but they're really spending their time in the learning zone. And with ADHD, if you're thinking about, you know, I really want to change something or I really wanna work on something, their measure of success is the outcome. So if I succeeded, I got an A on the test. If I only succeed, if we are never late again to another meeting or if you're always only looking for the direct outcome, that becomes sort of a fixed mindset again, because there's no room for success outside of just winning the game. Well, you can be very successful and have a great experience and maybe it hurts because you didn't win the game, but you did your best and you learned from it and you're gonna keep trying. You're gonna keep doing your best. Pete: I think that's one that I struggle with too. And I think that's...a lot of that is our culture, right? We've embedded this, you know, studying for the test mentality, right? We practice for the game mentality and not integration, right? What we're talking about, the growth mindset is an integrative mindset. It's one where I'm not just studying for the test. The test is an assessment to see how much I have been able to integrate new information into my life, right? We talked a little bit about this on the mind-mapping episode, right? Why do we learn new things after we get out of school? So we can accomplish new things, right? We don't learn to be assessed later. We learn to grow. Nikki: To actually learn, right. Pete: Right, right. We play to improve and in many respects, you know, the game is just another assessment of how well you've been practicing to grow. And yes, we have built up the games to be vastly more, sort of economically powerful. But it's the same sort of thing in my head, at least the way I see it. Nikki: I agree. So to be in a growth mindset around navigating your ADHD, a couple of things that I wanna point out is you wanna reflect, experiment, practice, and continue to be in the learning zone. 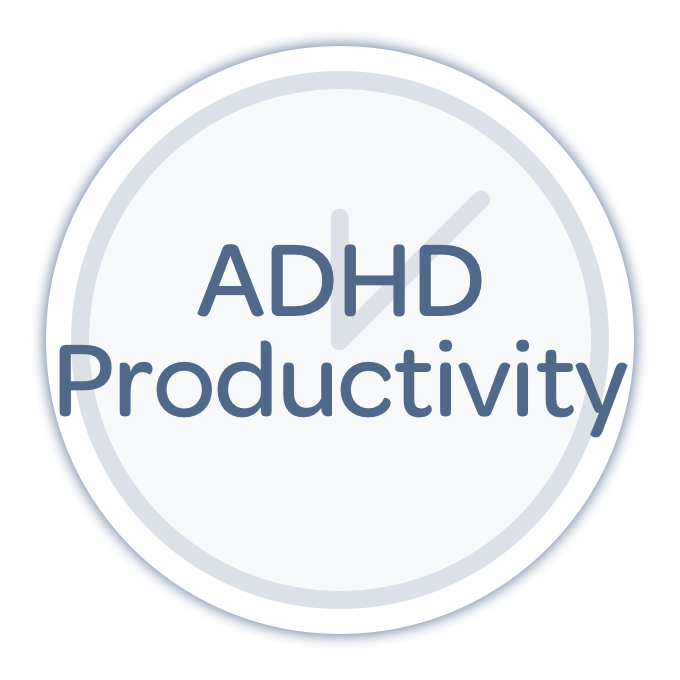 So there are gonna be times where you're gonna feel like your ADHD is very managed, you're doing great, the systems are working. And then something kind of happens and you're off the rails. You know, that's the time, again, where you wanna experiment, practice, continue being in that learning zone. Don't take it personally in the sense that you have failed or you've done something wrong. The ADHD got in your way, life got in the way, some kind of, you know, thing happened and now you have to adjust. So we wanna keep being in that learning zone. And expecting that mistakes are gonna happen and that's okay. Expecting that consistency isn't going to always be there and, you know, that's okay. And accept, you know, just that, you know, you...we've talked about this too, but it's understanding how your ADHD affects you, accepting that and then really working on how you're gonna navigate it. What do you do next? And, you know, this is something that he said in the speech. He said, "Be passionately curious. I can get better." So it's not only can I, you know, I can do hard things, but I can get better at this and keep learning and keep practicing and figuring out what works for you. Pete: I love that. I love that. And I love that because that actually takes us into this sort of position of language and how important language, how powerful language is to allowing us to cultivate a growth mindset. Nikki: It's so true. So he talked about ambiguous language verse growth mindset language. And I have three examples for you. So let's work hard is ambiguous. Let's work to improve is a growth mindset. So we're looking to improve. And I, you know, now that I say that out loud, let's work hard kind of seems weird, right, because we're talking about...you have to put in the effort, but maybe it's because it's not...let's work hard to improve is like it's stopping at the let's work hard. So we're saying, you know, let's work to improve, which is also putting in hard work. I think that's why it's ambiguous. Pete: That's interesting. I wonder, for me, the way it hits me is both of those actually imply the negative other side of that coin. Let's work hard to improve because you're not good at this right now. And I'm thinking about it, you know, obviously not from an adult ADHD perspective exclusively, but you know, how I hear that as a kid too that I know that's how my son would take it. And he has an emotional maturity that's still definitely on the, you know, the upward path. Nikki: That's a good point. I mean, because yeah, when you're talking about let's work to improve, it does, it kind of insinuates that something's not right. Pete: But the next example I think is really good. Like where this one, I think the example itself is a little bit ambiguous. The next example I think is really solid and you can totally see the difference. Nikki: Right. So you can do it is ambiguous. Pete: Focuses on the thing, the event. Nikki: Right. You can learn it is growth mindset. Pete: I love it. That I love. Nikki: Yeah. And I like the third one too. So we're gonna scratch the first one, everyone. Now that we've talked about it out loud, we don't like that example. That's how we roll here. Pete: That's how we roll. That's right. Nikki: This is why we have this conversation. Nikki: So the third one that we like is you're so smart, again, is ambiguous, and then they used, I see you have this, what's next, which is a growth mindset. But I would add that I would like to acknowledge that they have worked hard and I've seen the effort that they've put into this and great job. What's next? So I just think for me, I would acknowledge the effort that they did put into it. Pete: Great accomplishment. You learned a hard thing, you faced a hard thing. And I would say as a caveat to all of these, the answer to the question, what's next, it might just be a nap. And that's totally okay. Pete: That's okay too. I'm gonna face down this nap head on. Nikki: And it's gonna be good. That's right. Takeaways for today, I hope that people have resonated with some of this, you know, maybe spread some awareness around what these mindsets are. Definitely check the work of Dr. Carol Dweck and, you know, you take this opportunity to think about, you know, is there a habit or something that you would like to work on and do you have a fixed mindset around it and how is this affecting you from moving forward? And, you know, just be thinking about those things and practice and try something new. And in the last part of the session, the keynotes session, he had written, you know, "What did I learn, what will I do and who will I become?" And I just think that's really nice. What did I learn? What will I do and who will I become? Those are good questions. Pete: Yeah. God, what a lovely summary, Nikki Kinzer. I have learned a lot and thank you for this. What a good timing for this particular message. Nikki: You are so welcome. Pete: And thank you everybody for downloading and listening to this show. We sure appreciate you taking the time and giving us your attention over these last few minutes. If you haven't checked out our patron community over at patreon.com/theadhdpodcast, you can join for a couple of bucks a month then get access to our discord community of other folks who are living with ADHD and celebrating the growth mindset. On behalf of Nikki Kinzer, I'm Pete Wright, and we'll catch you next week right here on "Taking Control: The ADHD Podcast."